Jyo saku and regular saki)this Nakajima Rai is Jyojyo saki ranking. 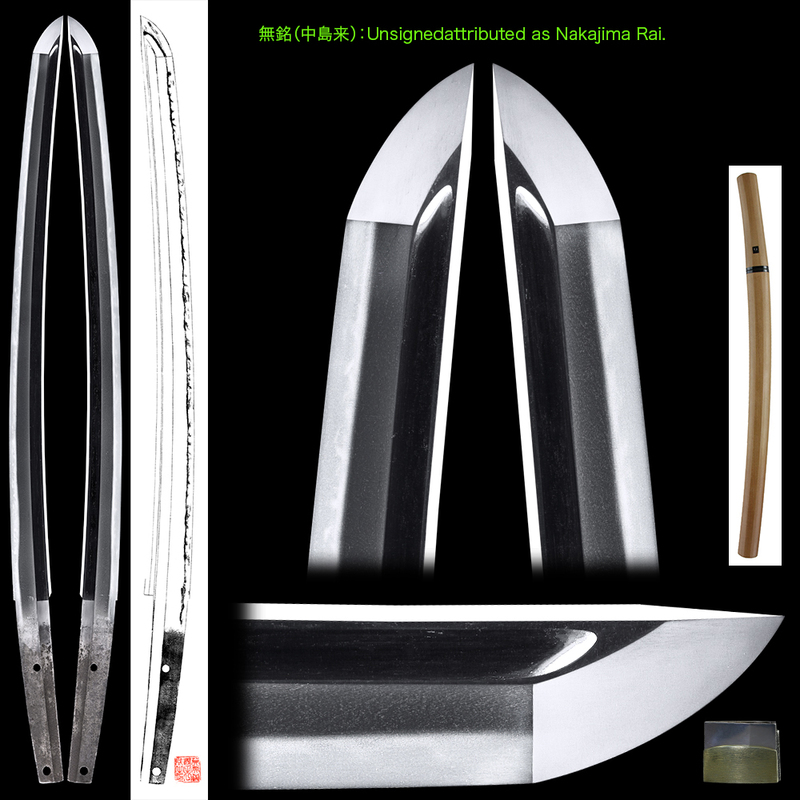 Blade length : 47.5cm or 18.7inches. Sori : 2.18 cm or 0.86inches. Width at the hamachi : 3.04cm or 1.2inches. 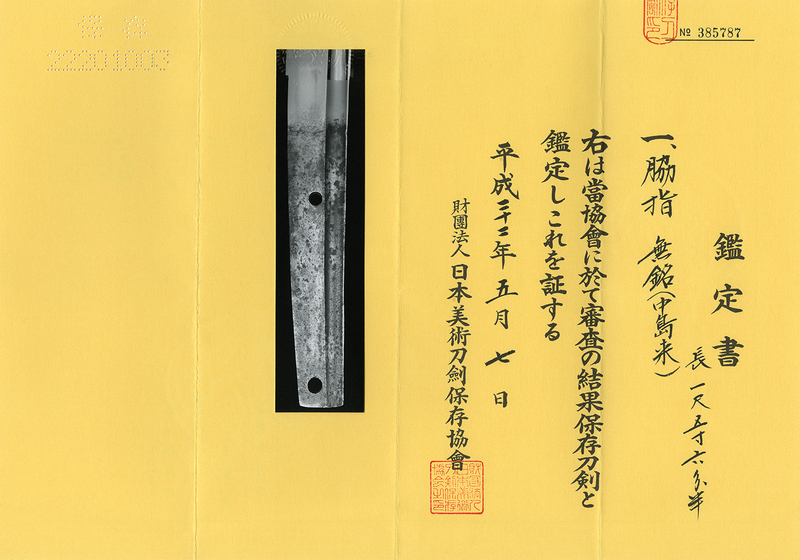 Width at the Kissaki : 2.26cm or 0.9inches. Kasane : 0.65cm or 0.25inches. 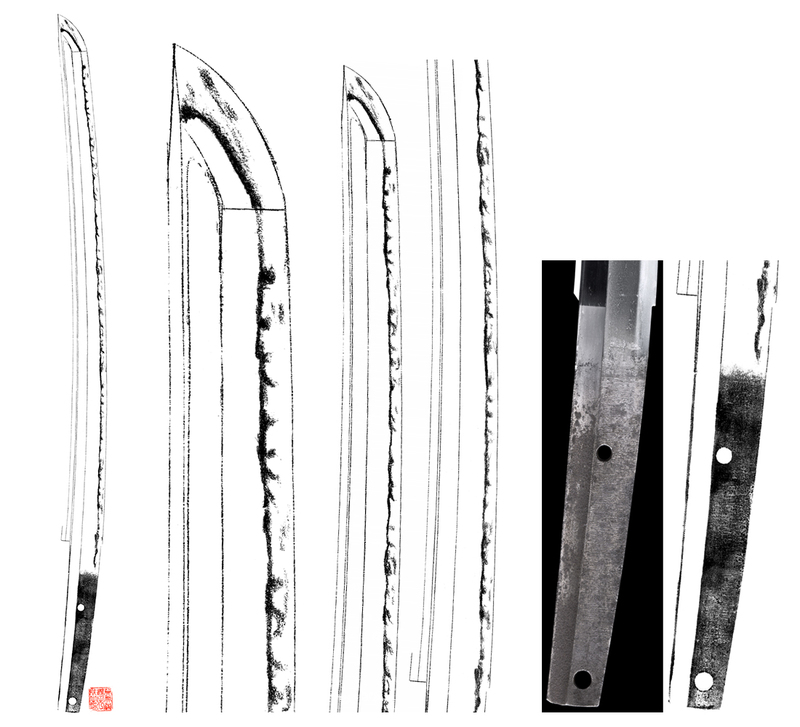 Shape : It is O-Suriage Mumei cut shorten katana. 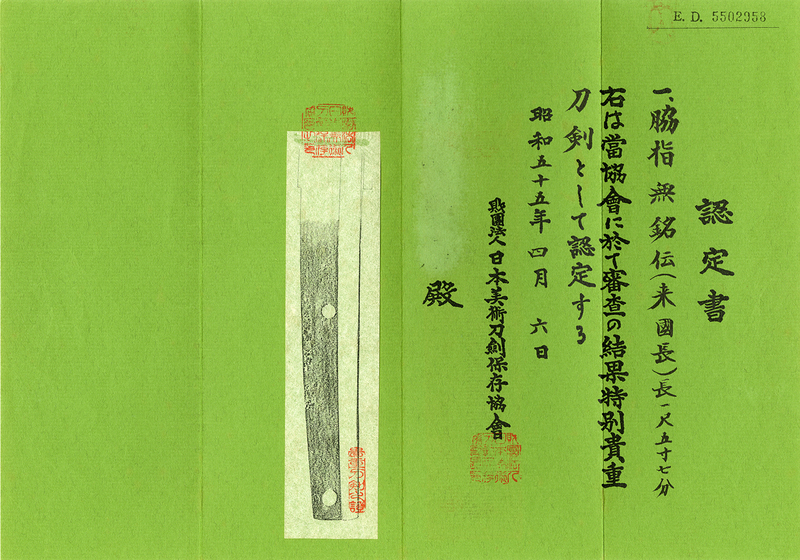 It is wide and thick shape with Bo-Hi engraved on both sides of the blade. Clear Chikei activity. There is faint Utsuri work on the JI. and the Boshi is round and Yakizume style. Special feature : Rai Kuninaga is a student of Rai Kunitoshi. He has moved from Nakajima of Settsu province thus it is called Nakajimarai. He has been active during Nanbukucho period. The work is different of that of Nobukuni. This piece is at first glance Rai Kunitoshi because of the fine Jigane and hamon. The Ashi and Yo is excellent work. It is flawless nice work.